Today mum don't finish work till 8:15pm so like the good daughter that I am I am cooking dinner. I am cooking spaghetti and meatballs. 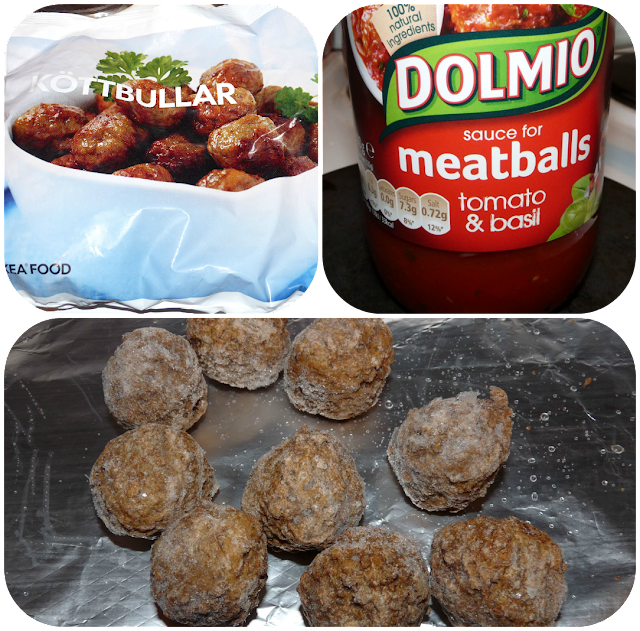 I am cheating a little as I am using Ikea Swedish meatballs (Svenska Köttbullar) and Dolmio meatball sauce. Can't wait to eat this, I adore Ikea meatballs.